Folk & Røvere scored an unlikely hit with their “Utadæsjælåpplevelse” single. The Quasimotoesque hip-hop track that featured MC Ravi’s now classic anthems quickly had the nation’s audience divided into two camps: those who simply hated the quirky rhymes and those who were completely sold by the infectious humour and creative flow on display. National radio refused to give the single airplay, but massive public demand coupled with substantial airtime for the single’s video on several TV networks secured the single hit-status and pawed way for healthy album sales. 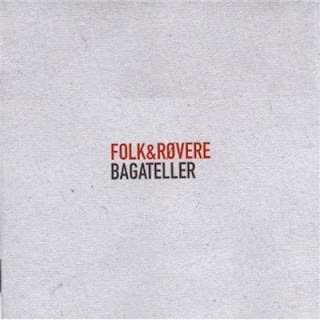 Folk & Røvere is centred on producer Ulph who’s put out five albums over the last decade. The crowning of a successful career, Bagateller displays mature diversity and solid craftsmanship by the carefully selected contributors.